Medical prowess has exploded in the past decade. The toolbox of therapeutic options has grown so large that often times, the most challenging aspect of patient care is in matching the right tool to the right patient. 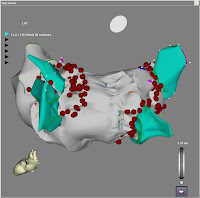 There is no better example than the expanding capability to ablate atrial fibrillation. Now that I can successfully ablate AF, the question is, in whom should this aggressive therapy be offered as a viable option? And, how should I decide? This particular Friday in the office brought a steady stream of symptomatic AF patients. Since this is the real world, for every young healthy patient with AF, there were four overweight hypertensive, older patients with more long-standing AF, and more dilated heart chambers. In the past, AF therapy was easy: either medicine, tolerance of drug side effects or live with the disease. Sure, we could infuse some finesse into these strategies, but there were no home-runs. Curative options were unavailable, drugs were given and the patients grew accustomed to the arrhythmia. Growing accustomed didn’t mean they felt any better, just that feeling less well became the norm. There was no such thing as ablation. Last night, I spent a few hours reading a very interesting site (more than a blog), on the covert rationing of medical care in the present and future health-care delivery system. Reading about the rationing of health-care made me think about Friday’s decisions on which patients to offer AF ablation as an option. She is really symptomatic with her AF. The medicine is partially effective. There are days that are good, but the day she wore the 24-hour monitor–when she was in AF–was a bad one. I am sorry…I can’t ablate everybody. She is old, very fat, diabetic, and her AF has been around for many years. We will have to treat this AF more conventionally. Sorry. Atrial fibrillation is the most common cardiac diagnosis. It is everywhere, like sore throats are to an urgent care center. In many cases, the symptoms of AF greatly diminish a patient’s quality of life. It is not always overt palpitations; sometimes it is generalized fatigue, and a vague shortness of air. Some have no overt symptoms, but interestingly, patients with seemingly asymptomatic AF score less well on quality of life questionnaires. Rhythm controlling drugs for AF work in less than half of all patients. Both inefficacy and intolerance to side effects limit the utility of these drugs. There are well done studies that show that AF patients treated with just blood thinners and heart rate modulators live just as long as those who we keep trying to maintain regular rhythm. In other words (or what I tell patients), is that if we let the heart stay irregular, as long as the rate is controlled and the blood thin (“rate-control strategy”), the prognosis is good. We are not mandated to keep going with shocks, rhythm drugs and procedures–the aptly termed “rhythm-control” strategy. The gratification in watching AF disappear with the delivery of RF burns (red-dots) is immense. It fuels the fire. It tempts you. I remember where I was the first time someone told me of the notion of curing AF by ablation lesions. It was like imagining an ipod in the era of the cassette tape. This AF treatment paradigm worked well absent the ability to ablate AF. Now though, we have in the “rhythm control” toolbox a much larger tool. In 2010 the score is AF ablation-70% success, AF drugs-30%. This sounds great. Just go ahead and do more AF ablations. Procedures pay better than office visits, don’t they? Ah, but the story is not that simple. Because we (I) can ablate AF in some, does not mean it can be applied to the masses. Here’s why–in my view. AF ablation is a big deal. It is not for the faint of heart. It requires 3-4 hours of procedure time with either general anesthesia or significant sedation. A harpoon-like needle has to be poked across the beating heart in a patient on blood thinners. Over a hundred burns are made in the most sensitive of the heart’s four chambers. In low-risk young patients–a minority of AF patients–the procedure successfully eliminates the AF in only a modest two-thirds of cases. Complications are real. There is a risk of stroke, heart attack, perforation of a perfectly good heart, pulmonary vein stenosis, air embolism, esophageal damage, and of course death. The overall complication rate is low, but since AF is not immediately life-threatening, any major complication becomes even more magnified. The procedure is hard to do. AF ablators know AF diminishes quality of life, but we also know the delicate balance of performing a life-enhancing procedure that has potential catastrophic complications. This tightrope makes me nervous. No other procedure induces a fraction of the mental worry of an AF ablation. The procedure requires standing with a lead apron and focusing for three hours. An AF ablation is hard on the doctor (human). Not complaining, just stating the facts. It limits what else you can do in a day. In the past, AF ablations were once per week. As ablation technology advances along with our skills, the temptation to help more patients has been hard for me to control. In private practice EP, most can only ablate two full days per week. There are office patients to see, non-reimbursed patient phone calls to make and the mundane cardiac devices to implant. Reality. Stop whining and just refer these extras to other ablators, one might suggest. I am glad you pointed this out. You see, AF ablation is technically demanding, physically exhausting, potentially dangerous, and takes years to get good at. Also, it is compensated at the same rate as an ablation that takes 45 minutes. It is not hard to imagine that there are only a few of us doctors who do this. In my city of a million people, there are really only two other electrophysiologists who do this procedure enough to have sufficient skills. Sadly, there are many “dabblers” in AF ablation, which of course, means their are patients of “dabblers.” There are few other doctors to refer to. Reality, again. We ablators are human. In our present paradigm, it is impossible to ablate all potentially curable AF. For every forty-something intermittent fibrillator with a normal heart, there are four older patients, with thighs as big as a waist, diabetes and sleep apnea. They have symptoms too, and look at you like they know you might be able fix them. But, we are only human, and right now, despite the desire to do so, we cannot ablate every AF patient. Those patients in the grey of decision making are subjected to the rationing of realism. Another societal solution would entail having more doctors to do procedures like AF ablation. That should be easy. EP training took only eleven years and 110,000 dollars after college. Then, as an experienced specialist, it took me four or five years to get really comfortable with the procedure. This is a tug-of-war. Modern medicine advances. We can now successfully treat historically incurable diseases. But to do so requires much from the doctor and from technology. AF ablation may only be a metaphor for an upcoming paradox in medical therapeutics: treatments may exist, but they will necessarily be rationed because of the scarcity of human-power to perform them. Tagged With: Pulmonary Vein Isolation, Rationing health care. I met with an electrophysiologist in Minneapolis for the first time in January. I had an ablation 10 days later. My doctor said that he normally doesn't tell patients that an ablation is the best solution over medication, but in my case, he said, "You need this procedure!" Your post helped clarify for me why my doctor made his recommendation. I really enjoy reading your posts, especially since this is a completely new world to me. Thank you for writing your blog and doing what you do to help those of use with irregular heartbeats. I'm on a wait list, here in B.C. Canada, for ablation therapy. I've had cardioversion done once, about 6 weeks ago, and am scheduled for the second cardioversion next week (the first one provided me with the best 3 days of my life, then reverted). I've asked my cardiologist why they wouldn't just go ahead and ablate the SA node, and put in a pacemaker. He says that they want to try everything else first, so to date, I've been on different drugs (and warfarin) for a couple years, now cardioversion, then ablation, then (and I'm guessing it will end up this way) a pacemaker. 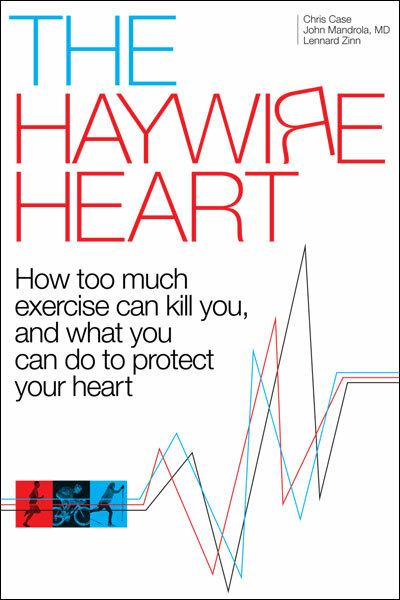 I was just diagnosed a couple years ago, but I think I've had atrial fibrillation my whole life – I was just too busy with work to see a doctor, and attributed my tiredness to either working too hard, or more recently, to aging. My father ended up with a pacemaker, and that was after he had a stroke. I hope I don't have to have a stroke, to have a pacemaker implanted in me. I'm just over 50 years old, my father was 80 years old when they gave him his pacemaker (and I think the only reason that was done, was that he had traveled overseas, and his travel insurance provider wanted to get him back to Canada, so that the socially provided medical system would take over the costs – the doctors in the foreign country said a pacemaker was necessary to get him home). Would you be able to enlighten me as to why pacemakers are a last resort? I know just cherry picking solutions are not the way things are done, but aren't pacemakers a proven reliable way of keeping people's hearts in NSR? I don’t know if I will hear from you, I can tell by your post that you are VERY busy just trying to keep at a normal pace. I am scheduled for an ablation in July. 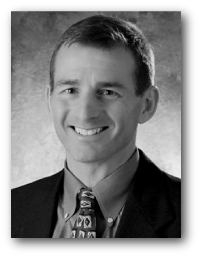 My EP Dr. William Sauer in Denver was very clear with me of the problems that can occur (they same as you listed). He wondered why I don’t wait and try drugs first. I have HEP-C and I do not think that drugs are a good choice for me, even those that go through the kidneys. It seems, to me, that I would be trading one problem for another. I have also read that some of the drugs have had irreversible damage done to the heart. Another reason for my decision is that I am a 63 year old woman with a very healthy heart and none of the three things that could cause complications. I have read that women have more complications than men the older they get. The EP said that if I tried the drugs and they worked even for five years that the procedure would only get better as they are making so many advances in this area. I don’t think drugs are for me… and I am not sure waiting is; but truthfully, I AM a bit worried about the complications, especially since I have had a horrible experience with the laser procedure they did on my veins on my leg ( after over a year, I still have numbness and tenderness in one leg). Thanks for telling your stories. Pacemakers do not help maintain sinus rhythm. They are used to treat bradycardia. Also, in long-standing drug-refractory, rapidly conducting AF, they are used as a palliative strategy–along with ablation of the AV node–to control the rate of AF. This "ablate (av node) and pace" strategy works well in controlling the rate of AF, but leaves a patient with permanent pacemaker dependence. Additionally, the atria still fibrillate and hence anti-coagulaion is still needed. In 2010, only warfarin has been proven to prevent stroke in high risk AFib. The drug vs ablation debate is hot. There are some who recommend ablation of AF as first line therapy. I have done this in a few patients. Being in the ablation game for fifteen years has taught me that ablation gets better with years. I find myself frequently saying to AF patients in "grey areas," that we are ready now, but surely we will be better in the future. Although, AF drugs work long-term in about a third of patients, if you are in that third, then it's 100 percent effective for you. So should we get paid more for AF ablations? I think so. 4-6 hours in the lab. Lots of risk. Lots of potential benefit, but plenty of failures. Its exhausting. Why should it possibly bill like an SVT? do you get denied if you bill complex svt? i realize this isn't the same as what you or i think should be paid at, but i get reimbursed at a slightly higher rate than just simple svt. i also think svt ablation is underpaid however. The code used for AF ablation is 93651-SVT. In comparison to SVT ablation, the only additional code used for AF ablation is the intra-cardiac ultrasound code. This does not add much. Yesterday, I did a third re-do. The PVI part was done in less than an hour, but I chased left atrial flutters for three hours. 0830-1430. So, in this case, I will probably add the "it was really hard" modifier. Otherwise, though, I don't add the extra modifier. Here's the point: SVT ablation may be over compensated (not any more though), while AF ablation under compensated. So if one did many more SVT ablations then AF ablations, the lower reimbursement of AF ablation seemed less obnoxious. Now though, my ablation ratio is the opposite, with many AF ablations than SVT ablations. It's all relative; compared to the radiologist, we are under-payed, but against the general surgeon who is up all night operating on all night we do well.